As a mom of three little ones, I am constantly looking for ways to teach God’s Word to our children. I am sure many moms can relate to having great intentions but then time just gets away. Many times we have intended to sit down with family devotions and then weeks go by before it actually happens. Or when we do try, it is hard to involve all three kids as their ages span from 8 years old to 2 years old. I knew I needed a practical way to teach God’s Word to them. It had to be hands on and full of truth. When I found Tabletop Truths I knew I found my answer. Tabletop Truths is a collection of kid-friendly place mats that can be used to teach children concepts and stories from God’s Word. The moms who started Tabletop Truths wanted something that would integrate Biblical truth into their daily routines. Isn’t that perfect for all us mamas? We currently have the Easter, Jesus Is…, and Family Prayer Guide mats in our home, and there are many other amazing mats available in the shop. 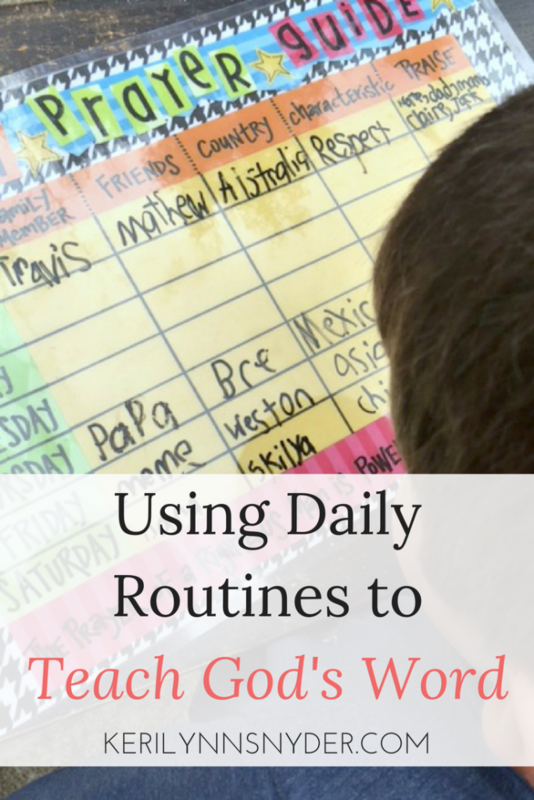 It has been a joy to implement these into our regular dinner time routines. While there are many reasons why I love Tabletop Truths, these are the top reasons. They focus our conversation during dinnertime. Each mat comes with a card that has questions or suggestions you can focus on during dinner. Family dinners can tend to be a little hectic with kids so the mats have been a great addition to our home to help focus everyone. The mats are well made and full of truth. Kids are naturally hard on things, but I am pleased to say that the mats have stood strong against the three little ones in our home! It is easy to wipe them off and we have had no problems with them. All of the mats have helped us teach God’s Word to our kids in a practical way as they are full of truth. They focus our kids thoughts onto others. The mats easily involve all ages. My oldest really loved the Family Prayer Guide and has loved adding to it each day. It has been amazing to see him writing down names of family members and classmates. The Easter and Jesus Is mats were instant favorites of my younger two. 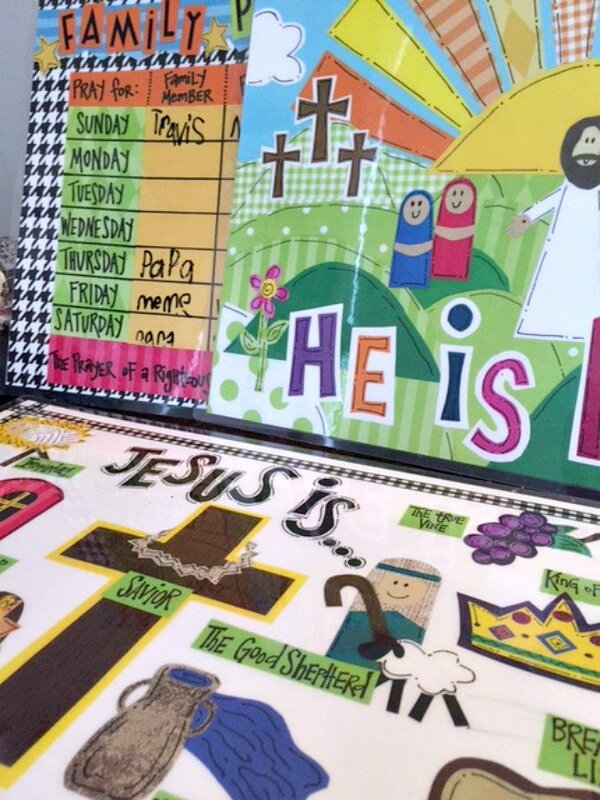 The images on these mats are perfect to use to teach God’s Word to very young children. Two mamas designed the mats! We know each other as moms. We know what works and what does not work. Sara and Lisa’s hearts and minds shine through their products. Plus, I just adore supporting fellow mamas in their work. Many of us know how tight a budget can be. Therefore, finding a tool to teach God’s Word that is affordable is a huge win. As parents we are to teach God’s Word to our kids. It is so encouraging to find resources like Tabletop Truths that enable you to do this in a practical way. We look forward to using Tabletop Truths in our home and adding more mats to our collection. I was given the Tabletop Truths, but all opinions are 100% mine. It is my commitment to only share products that I love and think you will love too! Read my full disclosure policy here. What a smart idea! Leave it to the moms to change the world for the better! Thanks for sharing about this great resource! Blessings! Thank you Liz! I love that moms designed these as well! Makes it even more special. What a great resource! Wish they had been around when my kids were small! Thanks Michele! Yes, they are perfect for moms of young ones!